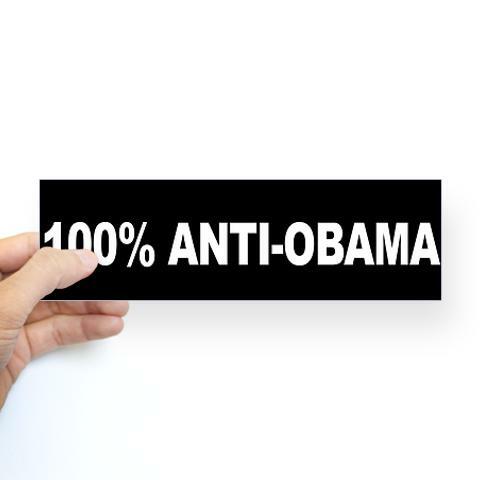 Tell all of the other drivers on the road how you feel about President Obama with a 100% Anti-Obama bumper sticker! – Tell the world how you feel! Our bumper stickers are perfect for expressing yourself while cruising down the highway or just for posting on the wall. Size: 10" x 3" Available in Opaque (white) or Transparent (clear) Printed on 4mil vinyl using water and UV resistant inks – means no fading in the sun or bleeding in the rain.